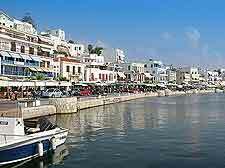 There are a number of good museums spread around the island of Naxos, covering a variety of different subject matters. The Mitropolis Museum can be found within the capital of Hora, on the western coast of Naxos. The main exhibits here relate to an ancient Mycenaean city from the 11th century BC, which was actually abandoned due to the very possible threat of serious flooding by the sea. Something a little different to the various museums on Naxos and their ancient artefacts, the Geology Museum contains a surprisingly extensive collection of some 2,000 exhibits, which include everything from volcanic rocks and fossils, to minerals, gemstones and pieces of meteors. The Mitropolis Museum lies at the northern end of the Horawaterfront and features some very large and very ancient foundations of excavated buildings. As you explore the remains of this former civilisation, you are able to imagine the grandeur of what was stood here, many centuries ago. Located in the Kastro area of Hora, the city's Archaeological Museum is located within a former Jesuit School from the 17th century, where one famous former student included much-loved Greek author, Nikos Kazantzakis (1883 to 1957). The building itself is of great historical significance and is now listed as a national monument. Inside visitors will discover some very old Cycladic figures, as well as some charming terracotta figurines from the Hellenistic and Roman era. Exhibits cover a long period and the oldest date back to Neolithic times. Part of the Kastro castle ramparts and sited within an imposing 13th-century tower house, the Della Rocca Barozzi Venetian Museum is situated by the north-westerly gate. As you step inside you are immediately able to start exploring the world of the very famous Kastro, during both its Frankish and Venetian past. The Della Rocca Barozzi Venetian Museum boasts ever-changing exhibits in the vaults, multi-language guided tours at 11:00 (not Mondays), and a number of seasonal events, including concerts staged outside in the surrounding gardens. The Geology Museum is widely acclaimed and believed to contain one of the most extensive geological exhibits in the whole of Greece. Look out for the very common emery rock, which has actually been responsible for much of the island's past prosperity. Of particular interest are the fossils of a tiny elephant-like creature, which was known to live here literally thousands of years ago. The Folk Art Museum can be found within the village of Apiranthos and offers nothing short of an insight into village life at the turn of the 20th century. The main attraction here is the reconstruction showing the interior a traditional village house, along with some farming implements and historic clothes. One to look out for if you are near to the village of Apiranthos, the very popular Archaeological Museum of Apiranthos features a wealth of historical relics, unearthed during a number of archaeological excavations around Naxos. The exhibits here span many different centuries and include stone tools, pottery and marble pieces from the early part of the Cycladic period. Part of the Kastro and also often referred to as the Domus Venetian Museum, this attraction is sited within a charming Venetian House, which is known to date back to the 13th century and was once owned by the Della-Rocca family. As you step inside, you will almost feel like you are being transported back in time, to the Venetian period on Naxos. A guided tour of the whole house allows you to make the very most of your visit and lasts around 45 minutes, during which you will tour the entire house, exploring rooms such as the library, dining room, study and vaults, where a rather nice collection of art works awaits. You may like to bring your camera, so that you can remember the awesome views of the port from the balcony, and bring a little spare cash, to purchase authentic Venetian pottery from the gift shop. 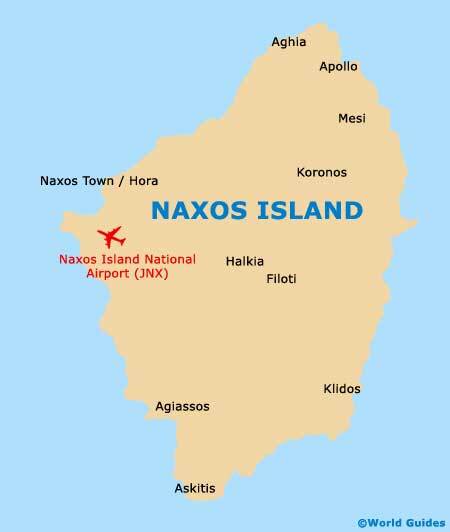 The Natural History Museum of Naxos is one to look out for if you have an hour or two to kill. Exhibits here include a wealth of local flora and fauna, including information about many native and exotic plants, as well as displays relating to the life beneath the Aegean Sea surrounding the island itself. The Museum of Natural History exhibits a variety of flora and fauna such as plants, sea creatures, sponges etc.